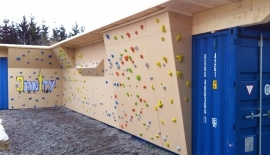 Our climbing and bouldering walls are available in different designs for indoor and outdoor. 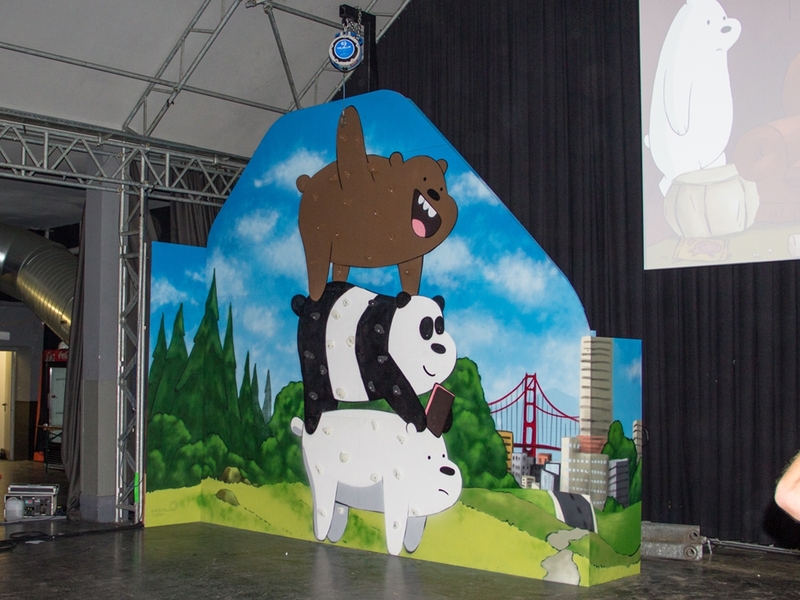 They can be attached to existing walls or we plan them as self-supporting structures. Different materials and colors are available. Even a themed styling is possible. 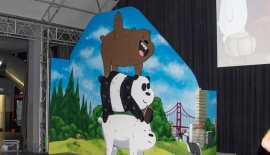 For example we can paint the climbing surfaces in graffiti technic with your desired picture. 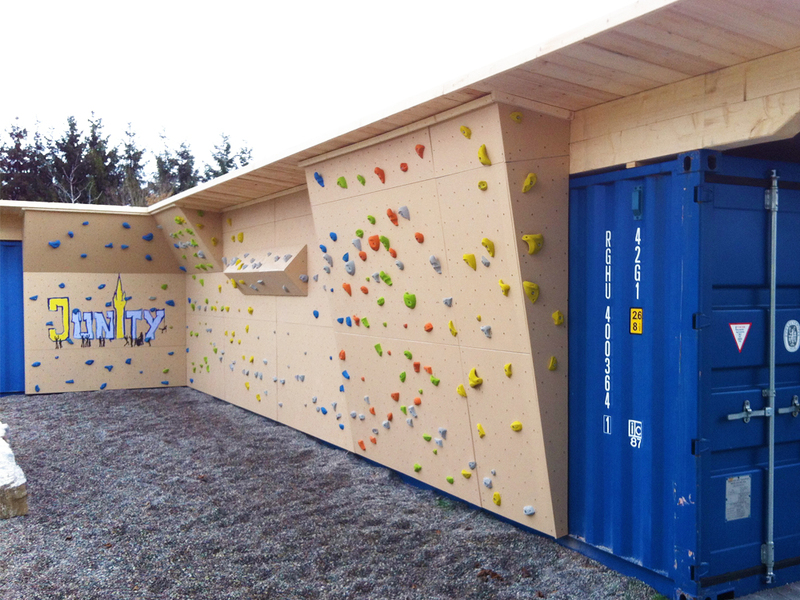 Usually we build our climbing and bouldering walls from sanded plywood panels. By request we also manufacture artificial rock structures from glass-fiber reinforced plastic (GRP). 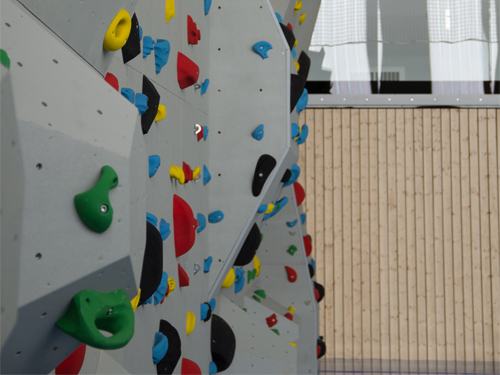 Besides the climbing holds the rock structure itself can be used as holds and treads. 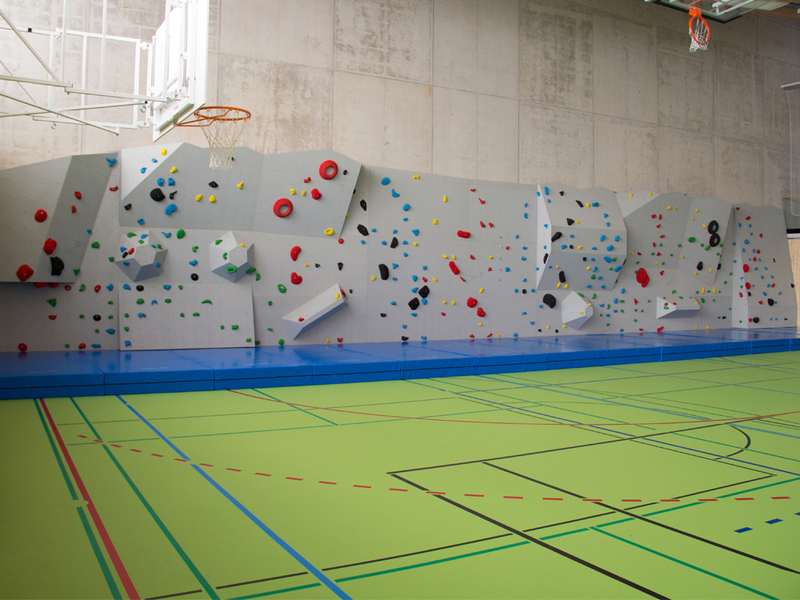 With the prefabricated grid it is easy and fast to change climbing routes. 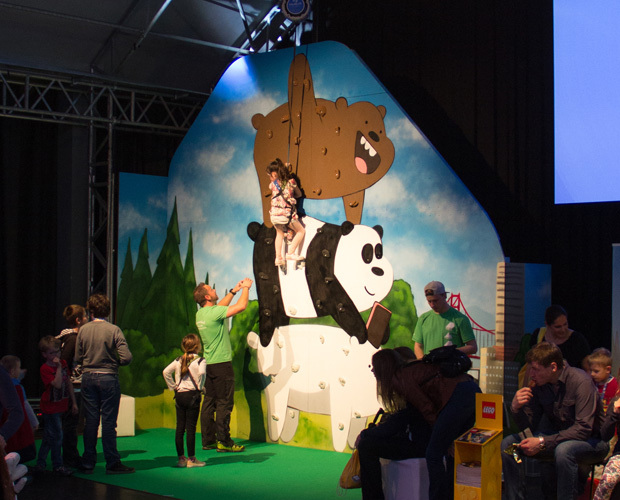 So you can create new exciting challenges at every time. 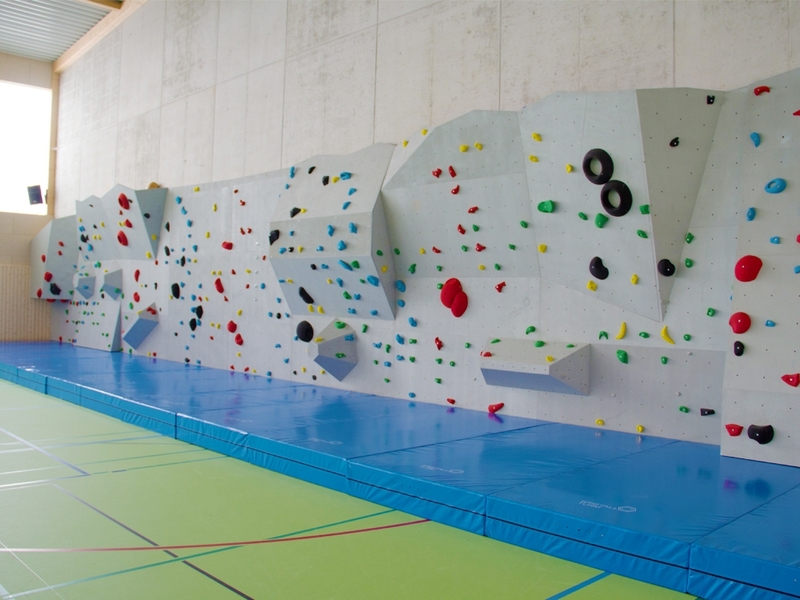 We build our climbing and bouldering walls according to the European standard for artificial climbing structures (EN 12572). High standards in safety and quality are our aspiration, not only with the used materials but also during assembly. 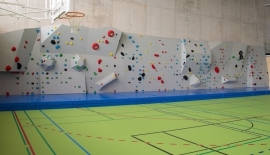 Climbing and bouldering walls are suitable as extension to existing facilities like sports gyms. 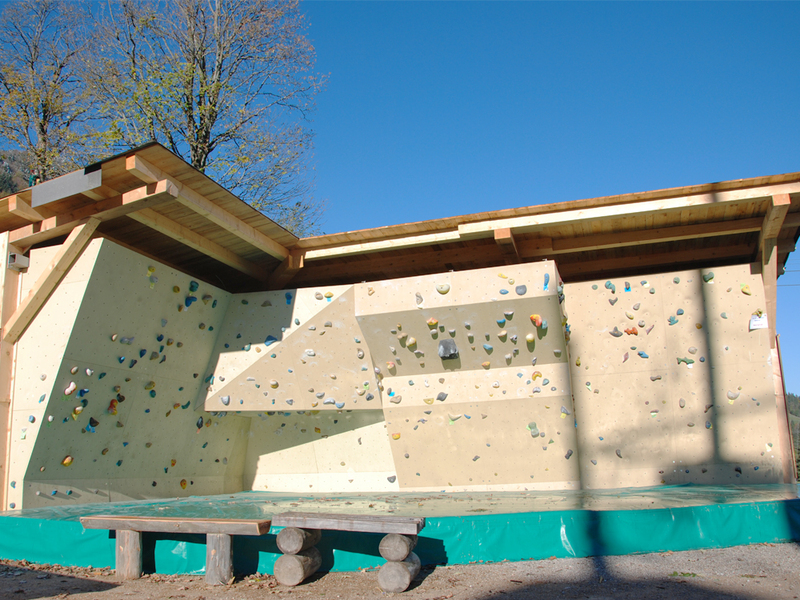 Bouldering walls are a versatile add-on to our fitness equipment and playgrounds. 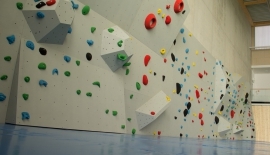 Bouldering is climbing without any rope or harness in safe heights of max. 3.5 – 4 m for jumping of. Bulky crash pads or fall-protection pebbles for outdoor use, damp down landing on the ground. 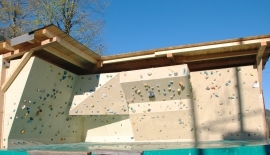 The level of difficulty is indicated with differently colored climbing holds. 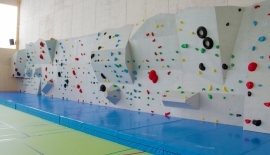 Usually yellow and green indicate easy, blue stands for intermediate routes and red and black are used for hard bouldering lines. Bouldering lines are in most cases very short, but they contain at least one key point (crux). The TOPPAS made by neuhaus transtech is a belay device with self-regulating braking system. It ensures a smooth, constant descent speed independent of the weight. 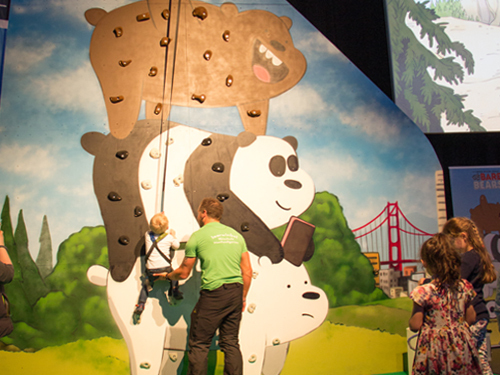 With this device no climbing partner is needed. For top rope climbing a rope is already attached at the end of the climbing route. 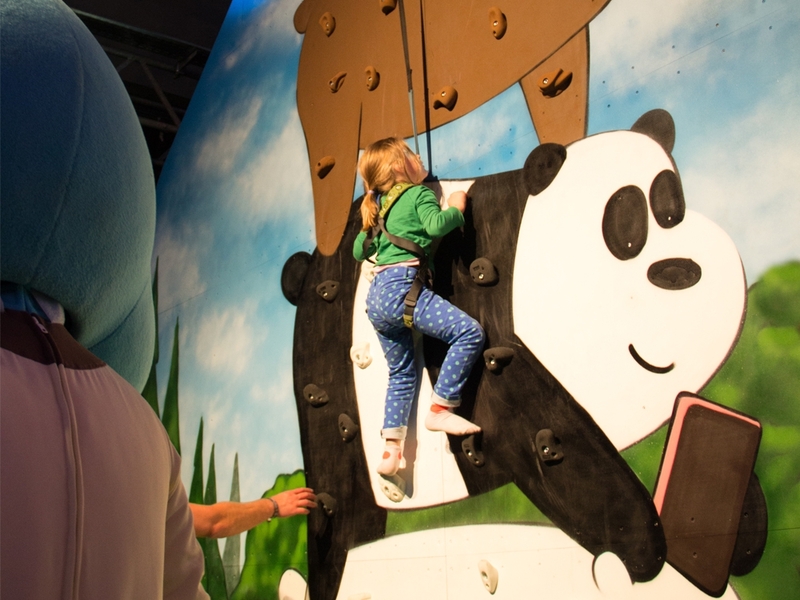 A partner on the floor belays the climber. This requires detailed instructions. 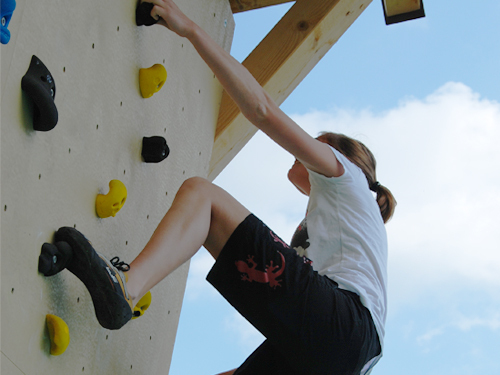 The climber has to attach the rope to safe points whilst climbing. 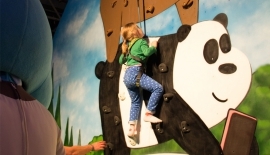 A partner on the floor belays the climber. This requires detailed instructions and experience. 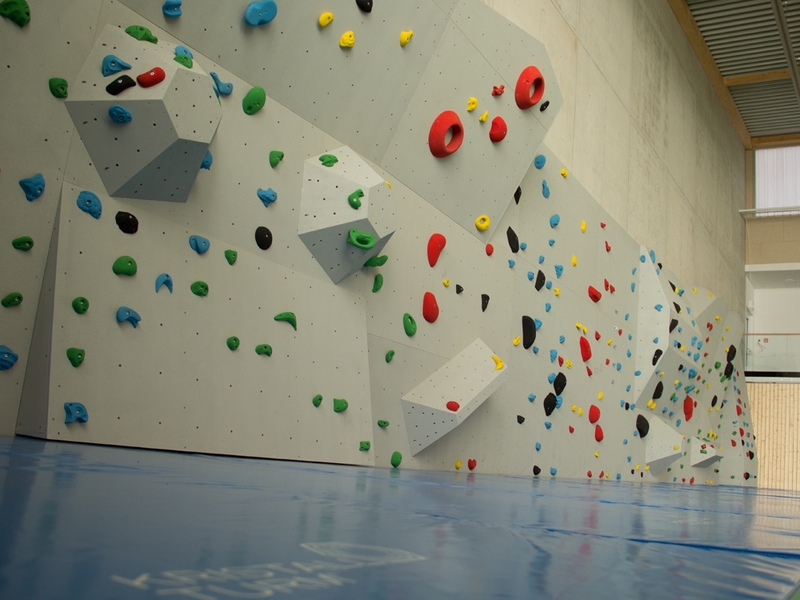 We happily support you with the selection of the right belay type.